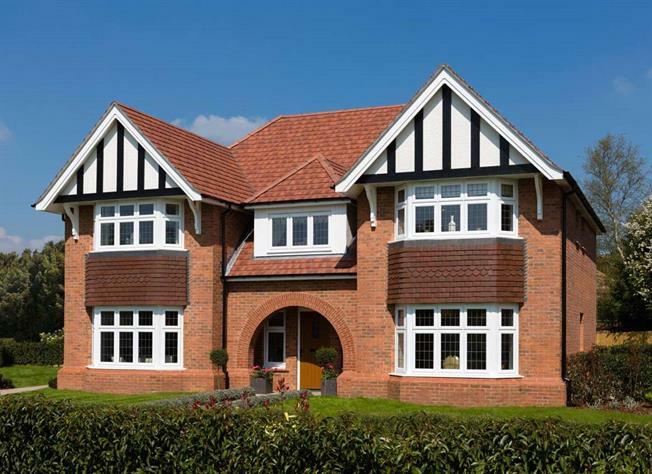 5 Bedroom Detached House For Sale in Bisley, Surrey for Guide Price £999,950. With this property framed with two elegant bay windows, the craftsmanship and luxurious interior is clear for all to see. The ground floor offers a lovely open entrance hallway which leads to the bay fronted sitting room to one side, the dining room which could also be used as a study to the other and then opening to the sumptuous open plan kitchen/breakfast/family area to the rear. With feature double glazed doors opening onto the garden this property is ideal for family life. The ground floor also offers a separate utility/boot room with access to the side of the property, under stairs cupboard and a cloak room.